Much to my surprise, yesterday I was able to locate a whole roll of this fabric, which is great because now I can make more of them! How exciting! The bag is available for pre-order here. Bags will ship out by May 15th, maybe even earlier. While the fabric is the same, I don't have much of the original leather left so I have found a substitute. This leather is a tone darker and has a more matte handle. Please note that since this new leather was more expensive than the previous one, that the difference has been factored into the cost. Not a big difference, but I wanted to let you know anyways. I'll be posting a picture of it to the listing later today for those who are interested. I think that it's a good match, so I think you will be happy if you previously had your heart set on one. 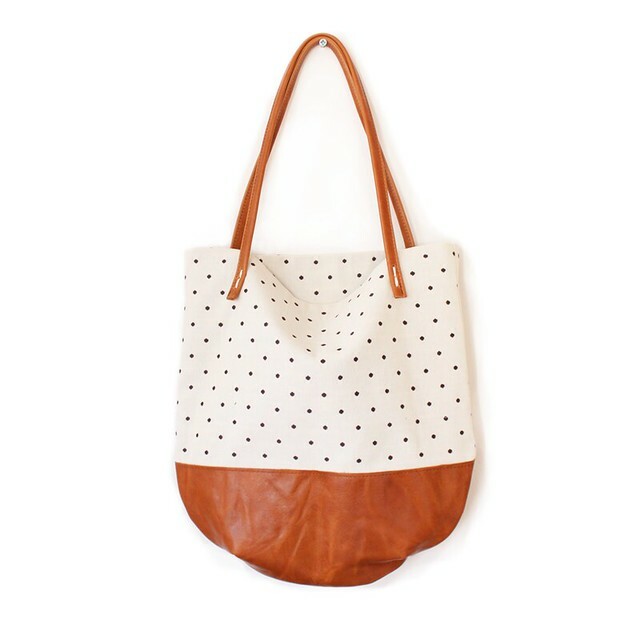 Thank you to everyone who blogged or posted this tote, I appreciate it!